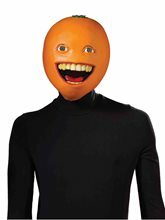 Annoying Orange Latex Mask,This Annoying Orange latex mask would be perfect with your Annoying Orange Costume. 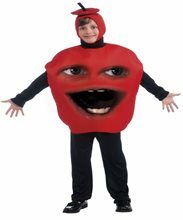 Midget Apple Child Costume; Includes: Laminated foam tunic featuring a moving mouth. Does not include shirt, pants, shoes.